Changing your theme is pretty simple and can be done from anywhere inside MEX. 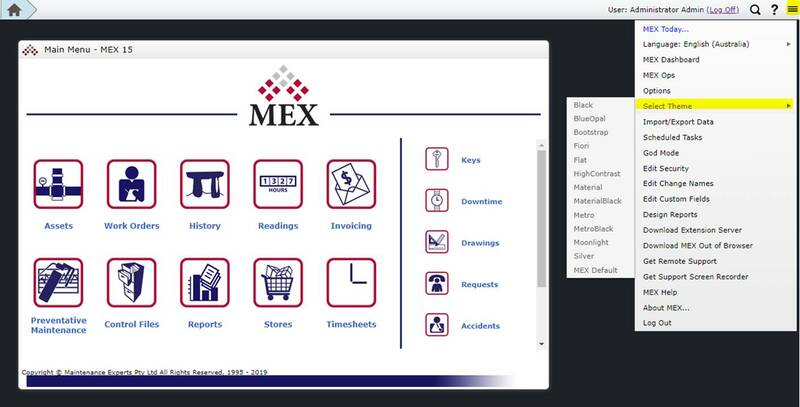 All you need to do is click on the Hamburger menu icon in the top right-hand corner of MEX, browse down and click the Theme Dropdown. From here choose which Theme you’d like to change to. As an example, you can go from the default look shown below. Change this to an all-Black Theme. 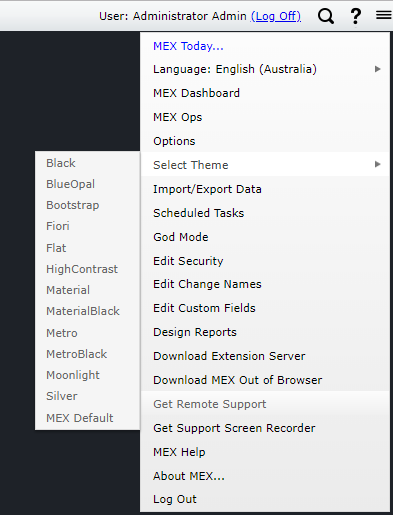 Give the new Themes a go and if you come across any issues or have any questions please contact MEX Support at support@mex.com.au or call +61 7 3392 4777.